Consumers have been tricked, deceived and lied to so you have to expect them to question things like that. But the truth is that our filters are better because they have to be. AMSOIL being a small family owned independent oil business could never survive especially with the significant market share they have now if they had average products. Al Amatuzio’s purpose for the company was strict guidelines to always create and provide products which are state of the are and lead the industry. If an AMSOIL product cannot achieve that it will not make the light of day. 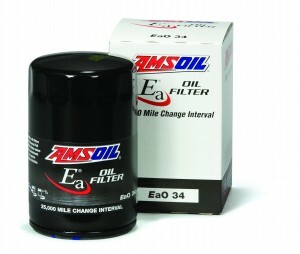 Now comes the Nanofiber line of AMSOIL oil filters. Basically what’s offered is a workaround to avoid the old problem of creating more restriction to reduce the amount of debris getting to the engine. 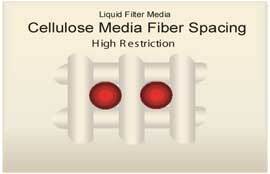 The problem of course is a shorter life of the filter because the media takes up the capacity to pass oil. 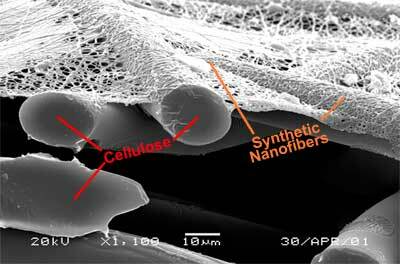 AMSOIL’s nanofiber allows for significantly more loading with almost zero measurable impedance to flow. 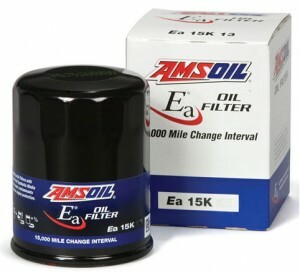 This is a great benefit for cars which use this new trend of tiny oil filters such as all the Chevy pick-ups (gas engine such as the 5.3L) and the awesome line of Subaru cars which really need better filtration but the manufacturer spec’d out a really small oil filter – AMSOIL’s EA series solves this problem. The technology involved a procedure which results in a non-cellulose glass fiber which the engineer can direct the woven material to a pattern needed to eliminate the any particular size and shape of debris or dirt as needed. These spray nozzles are literally in the nano range (much less than 1/100th of the thickness of a human hair). The material starts in liquid form and is electrostatically discharged onto a metal screen for reinforcement. No resins are used thus the flow of oil can be reliable at start-up or temperatures below 75 degrees F. Cellulose/resin based oil filters also have the issue of changing their structure as they are heat-cycled. 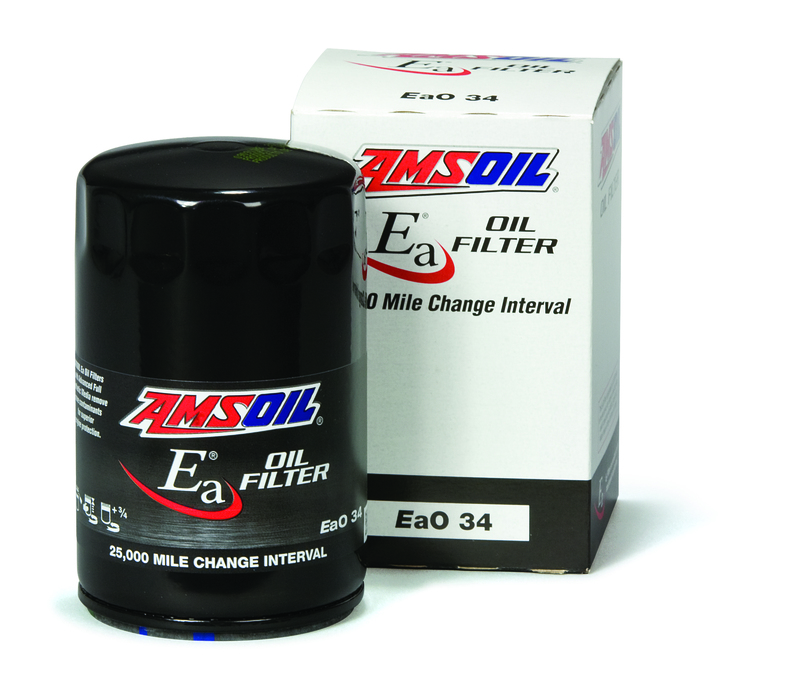 So to offer full disclosure AMSOIL displays both sides of the equation for customers to fully understand at what level the filter can remove particulates. 98% at 20 microns. Some sellers may say their filter is a 5-micron filter – well EVERY filter is a five micron filter and that really means nothing unless they can provide at what percent it is efficient at five microns. If the filter was 98% at five microns it wouldn’t last but a few days at most. Even the much raved stainless steel reusable oil filters can’t match the performance and value of AMSOIL’s nanofiber filters – their absolute number at best is 35 microns and the nature of the wire material is very fragile not to mention their cost. The AMSOIL media has become an industry standard under various brand names in OTR trucking, military and industrial applications and the buyer is protected by the filter manufacturers warranty – while the reusable filter materials are not likely to stand behind their products should they fail. Depending on the filter canister size AMSOIL warranties the oil filter for either 25,000 miles/1-year or 15,000 miles/1-year. This easily matches the AMSOIL oil products for added convenience. It should also be noted because AMSOIL is an independent another advantage AMSOIL has is it’s ability to buy from several different companies to create a filter with all of the best components available. 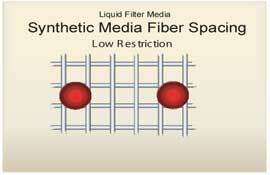 Major filter manufacturers don’t have that luxury. 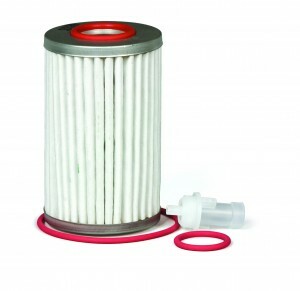 Another reason to have the requirement of a superior oil filter are those who run the oil wetted gauze air filters. Although we have our own line of oil-less intake air filters (EAAU Series) the oil wetted types are lacking in the filtration department. A superior oil and oil filter will be needed to keep debris in suspension and collect it as more is allowed to contaminate the system. We will cover all the aspects to the air filtration in another blog. 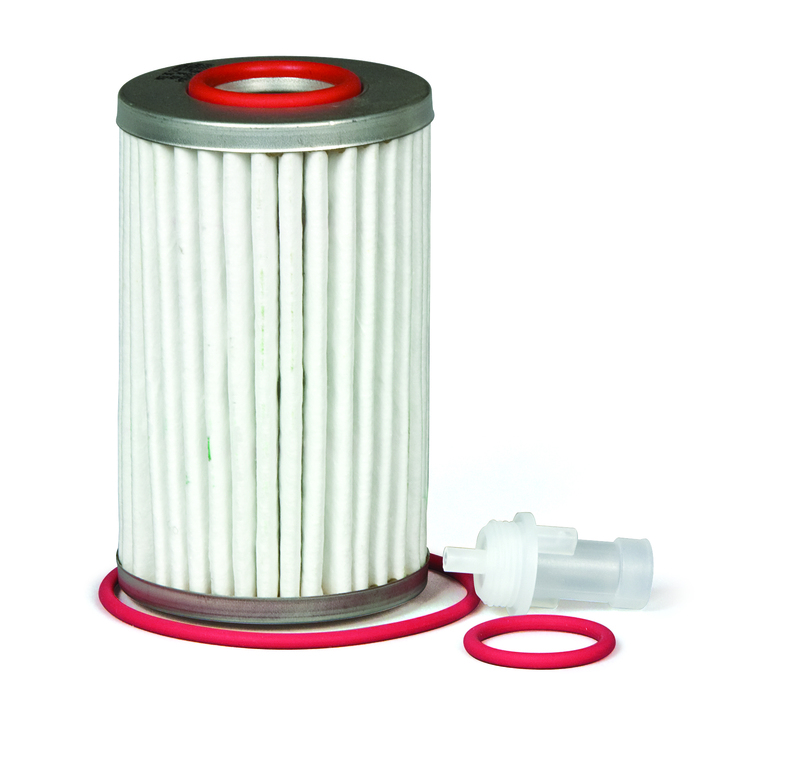 In addition to the EA series of automotive, light truck and motorcycle oil filters, we also use the nanofiber in the Bypass oil filters (2-micron absolute rating) and the over the road “Heavy Duty” series. This link will take you to the ordering pages listing all the filter options.